Seems like we’ve been having more of our fair share of saying aloha to beloved pets. 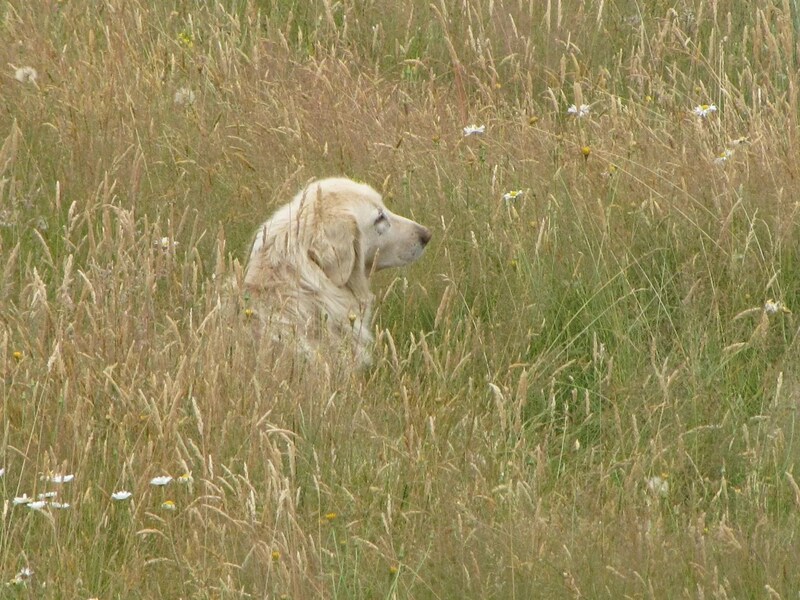 Today we said it to Puakea, one of our sweet Maremma Livestock Guardian dogs. She was twelve years old, and for all this time, along with her sister, Pikake, has protected our sheep and goats from marauding coyotes and other varmints. Today we took Puakea to the vet because she was getting so thin, and Dr Haveman diagnosed her as having a very large tumor attached to her spleen. He was very candid with us and said that Puakea’s chances for survival were not great. So we decided to do the kindest thing for her and the hardest thing for us… and we had him put her to sleep. I drove up to Bellingham to get her twelve years ago when she was just a three-month old puppy. 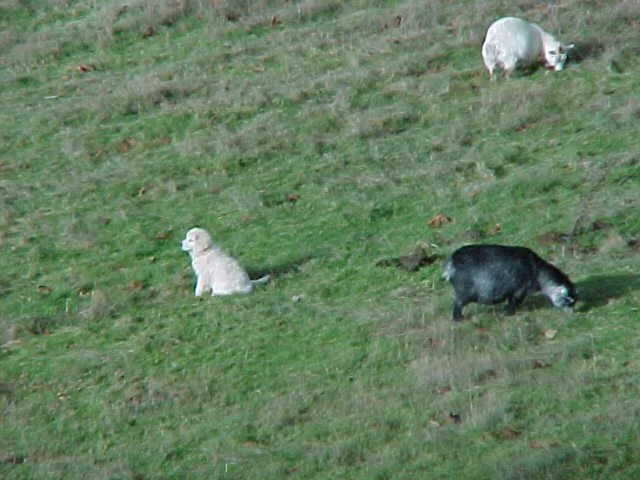 She’d been raised from Day One with sheep and goats, and after being introduced to Lani, our grown Maremma and spending about a week in the barn, she was out guarding our livestock. Lani showed her the ropes, and at three months of age, here she is, looking out over her domain, watching for danger. This is my favorite photo of her. Here she is again as an adult, still watching over her flock. Aloha ʻoe, our faithful companion. You will be dreadfully missed. This entry was posted in 365 Days, ʻOhana, Farm Stuffs. Bookmark the permalink. I am so sorry. She is a beautiful new spirit walking in the heavens now, guarding the other beautiful spirits from harm. oh darling person-I know how you are feeling-God bless you dear one. Oh, Moki-chan, I am so sorry.